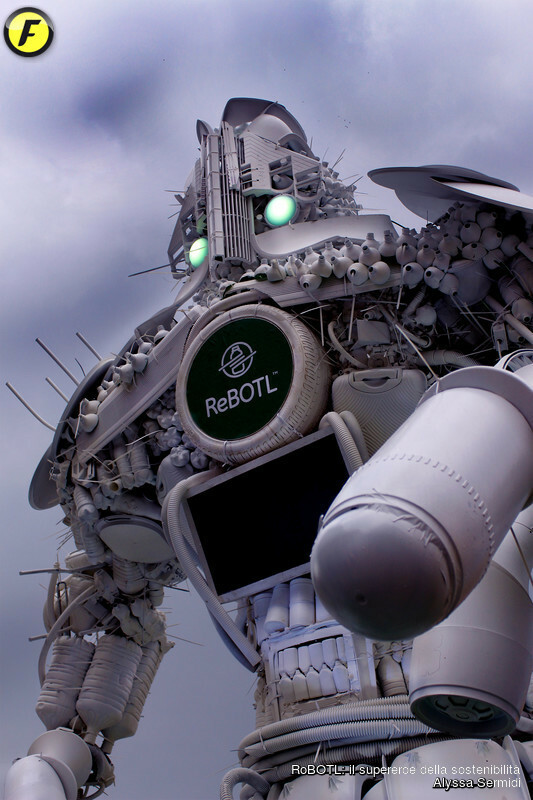 RoBOTL is the sustainability superhero, a symbol and warning that reminds us how important it is to safeguard the environment in which we live. 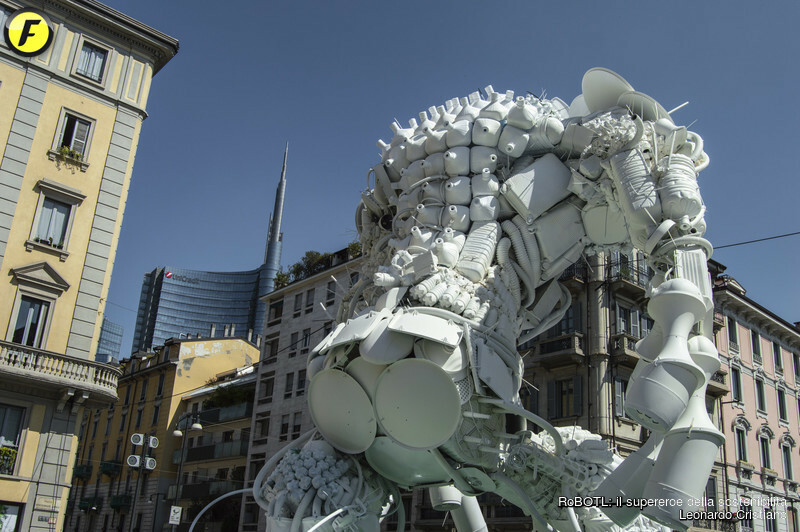 The work is to be created after a careful and meticulous search of items, using a relevant part of recycled plastic bottles and production rejects coming from the design industry, with the purpose to transform polluting agents into something having a meaning. 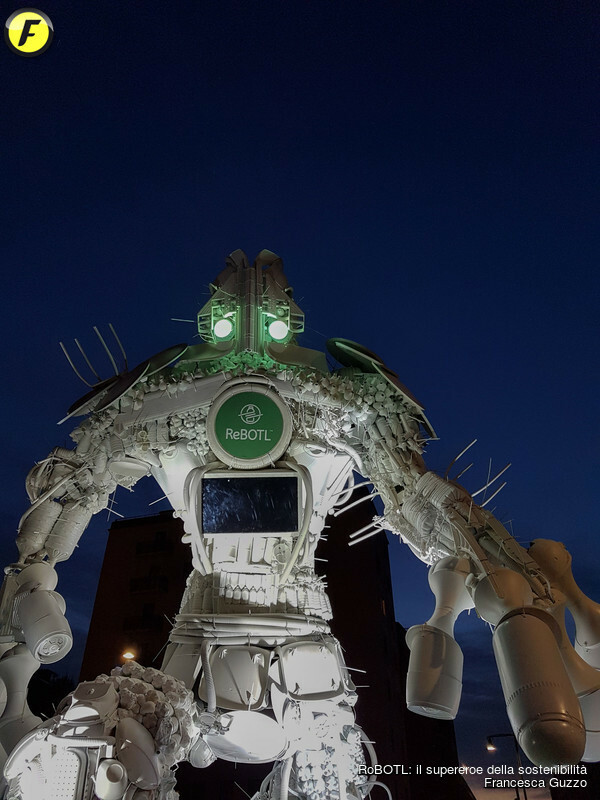 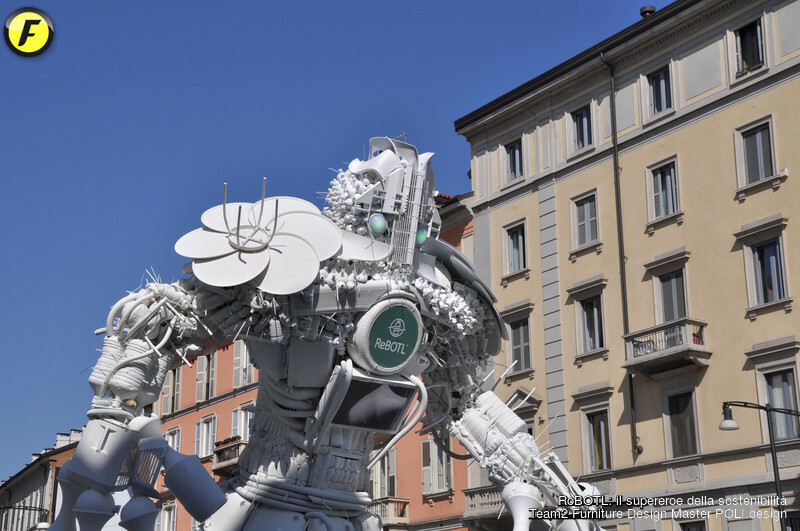 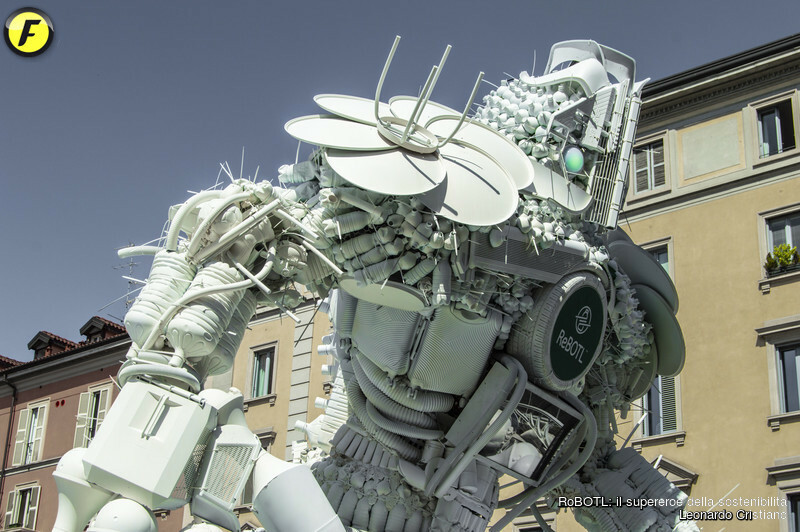 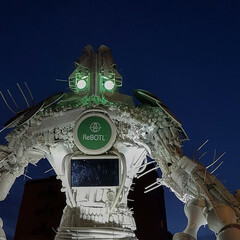 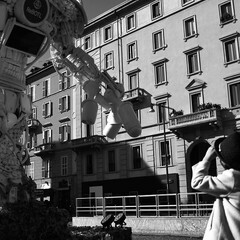 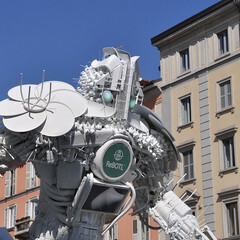 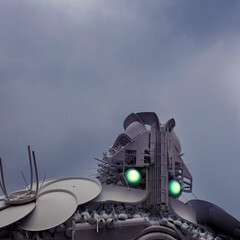 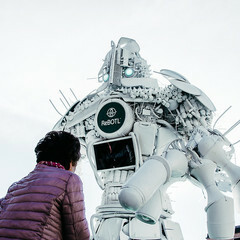 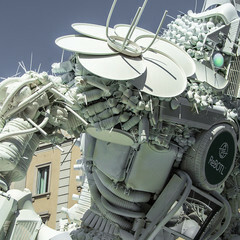 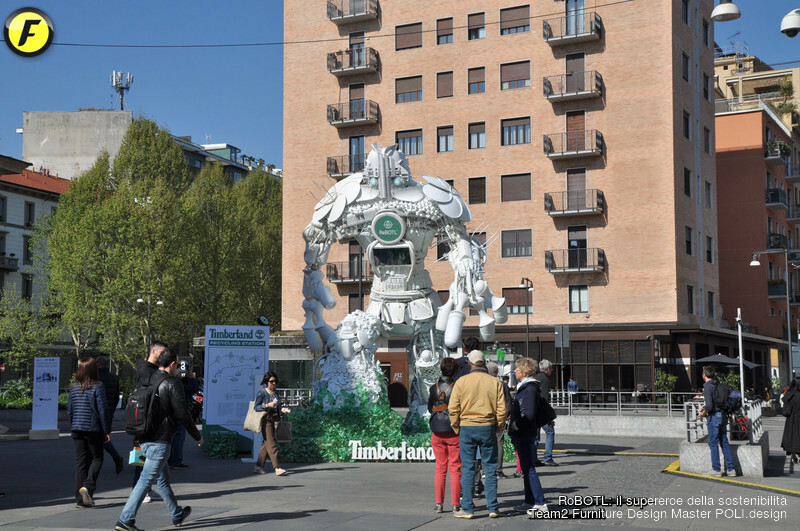 RoBOTL thus becomes the official spokesperson to raise awareness to act in a conscious and responsible way, starting from the city in which we live. 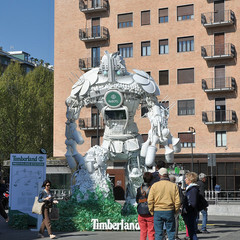 RoBOTL takes inspiration from Rebotl, Timberland’s new footwear collection based on a trademark technology. 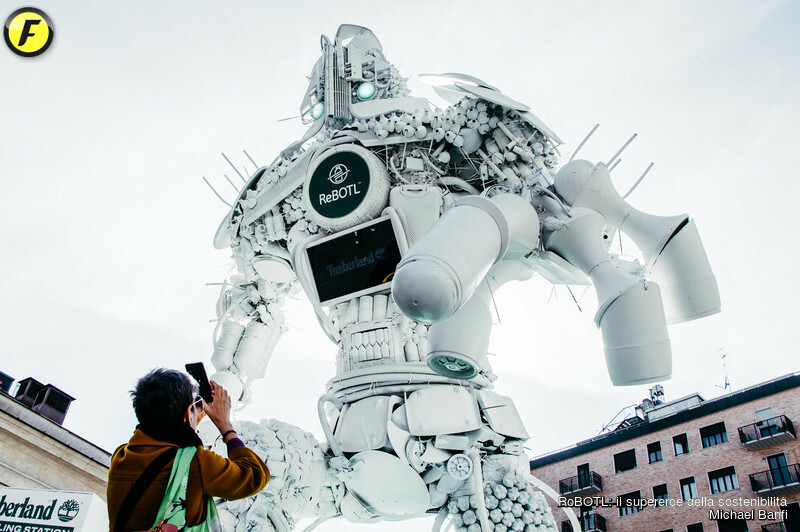 This capsule collection wants to show the DNA philosophy of the brand and its constant mission for sustainability and development of an always more eco-conscious product. 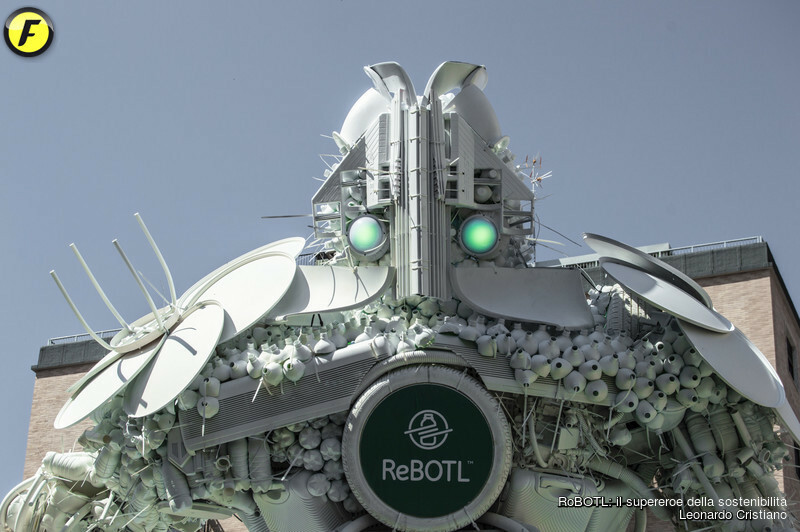 Rebotl takes its name from the technology used and includes 5 different proposals, made with 50% of recycled PET: three Oxford styles, a Chukka and an Alpine boot. 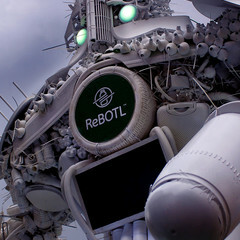 Rebotl is a light and breathable knit made with the equivalent of 6 to 8 plastic bottles depending on the model. 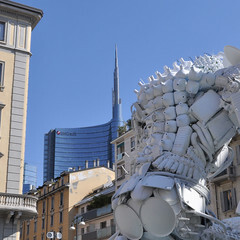 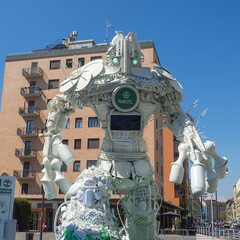 ROBOTL superhero is walking this sustainable path also during its final phase, through the disposal and recycling of its parts. 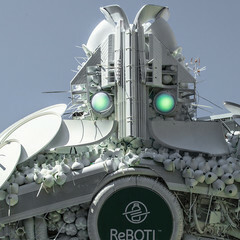 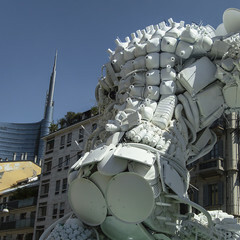 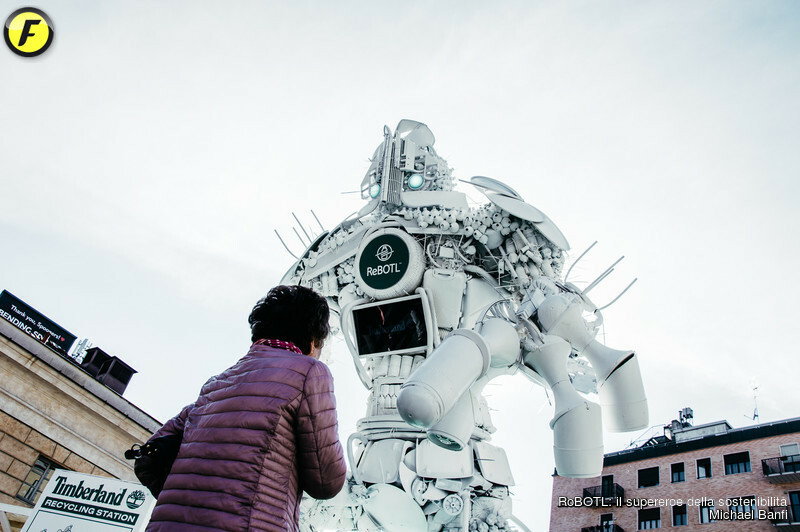 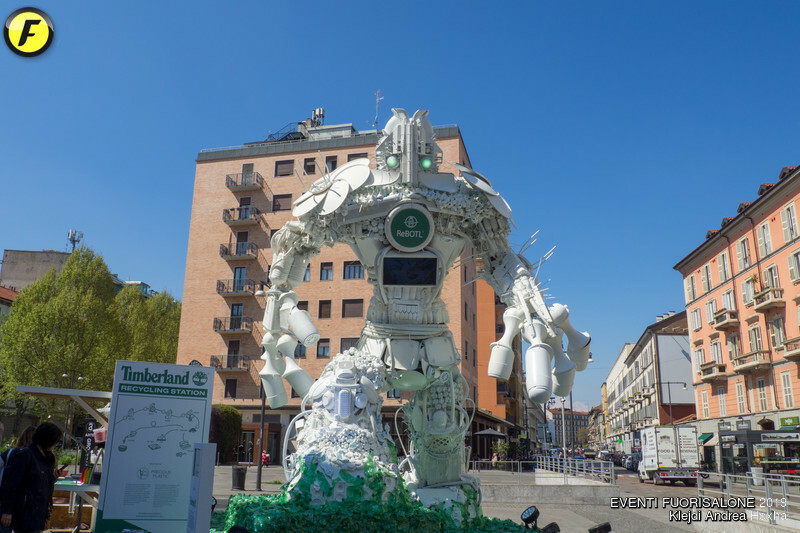 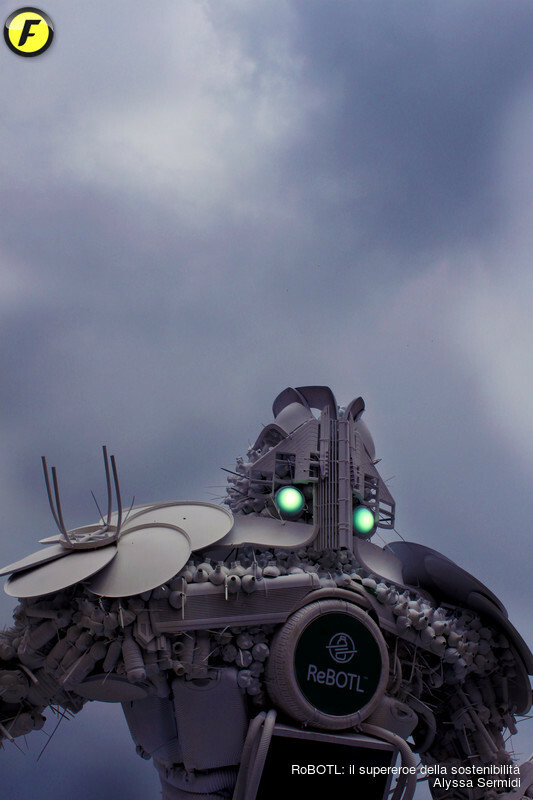 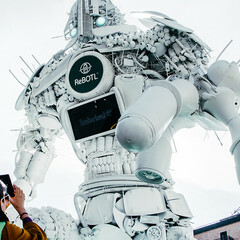 The medallion around its neck shall become a symbol and a gadget for the public, thanks to the RoBOTL RECYCLING STATION where anyone can transform one’s plastic bottle into RoBOTL Medallion. 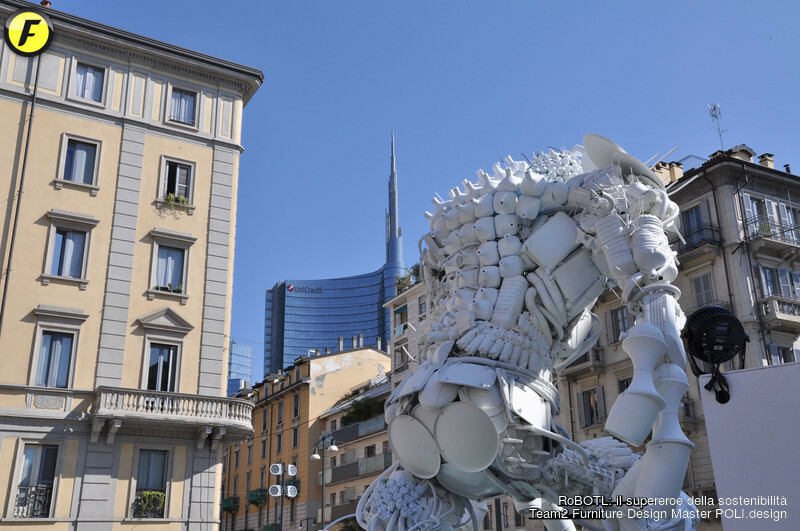 Along with the gadget a voucher will be distributed to have a 24Bottles bottle for free, in stores of Corso Matteotti, Galleria San Carlo, Corso Buenos Aires, Piazza Portello, CityLife Shopping District and for each purchase of ReBotl shoes. 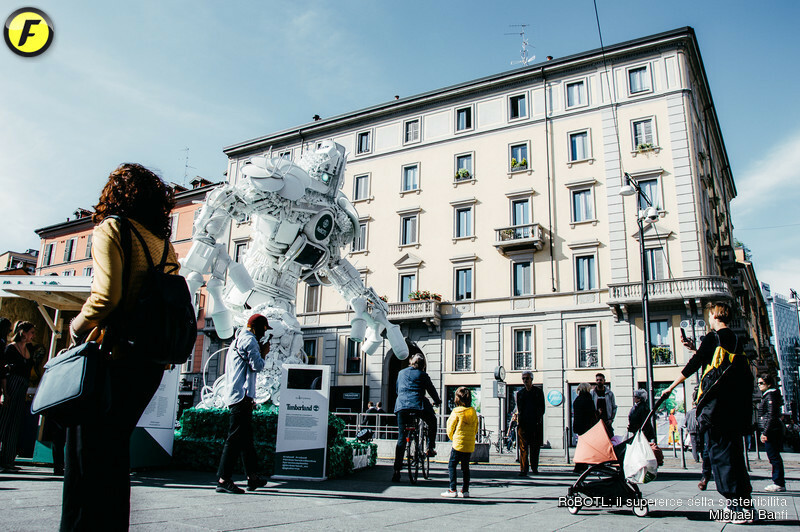 A cooperation that perfectly closes the circle of this important project: another virtuous case for design to have a conscious approach, aiming at solving concrete problems, educate the consumer, reduce the impact on energy costs and reduce pollution. 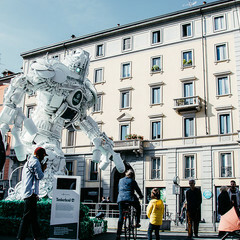 “Hydration by design” is 24Bottles’ bottles claim, made from 18/8 stainless steel, 100% carbon neutral and BPA-free, to ensure quality, lightweight and comfort, but with care for design.